French Model Railway: Jesus' Blood Never Failed Me ..... Yet. Came across a very similar blog to mine, today. He is basically writing a diary about the trials and tribulations of building an O scale German model railway - although he is British, I think. He started the project in 2007 and I think he is in his mid-fifties. The main difference between the two of us is that he was already a vastly experienced model train enthusiast before he started. This is the opening remark from his blog back in 2007. And welcome to, what will be, my diary of my adventure into building an O gauge Layout. 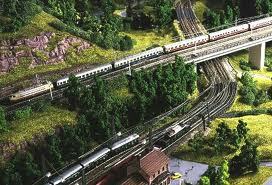 Having modelled railways for most of my adult life, I have "tried " Z gauge, N Gauge, HO Gauge and even G Scale ( LGB) . 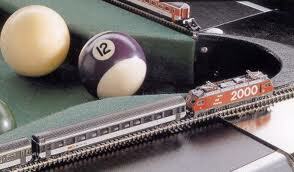 It was inevitable therefore, that at some stage, I would have to give O gauge a whirl." 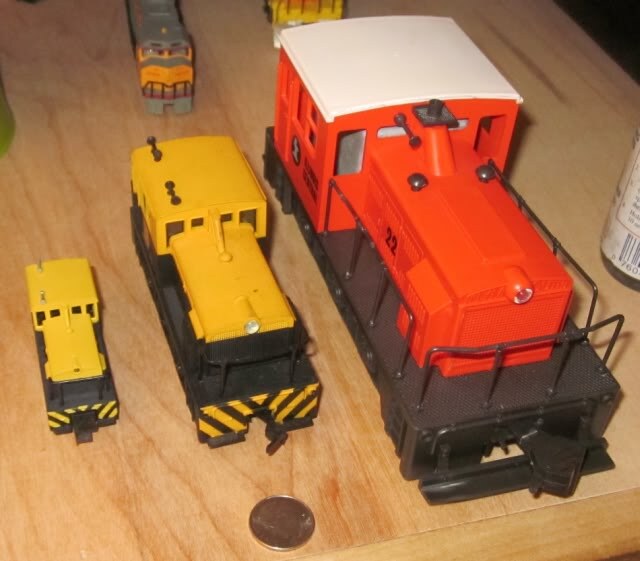 Here is a picture comparing N, HO and the much larger O scale. (HO means half O). So, what about Z scale? and G scale? Z scale is 1:220 cf HO scale of 1:87. You can pack a lot into a table top display. It is larger still; 1:23. The G stands for "Garden". As I write this blog I can feel the tears well up. The reason being that I took the decision to listen to Gavin Bryars' 26 minute epic "Jesus Blood Never Failed Me Yet". I shouldn't really play this piece because it always has this effect on me. For those of you who know nothing about it, here is an extract from Gavin Bryars explaining its genesis. The piece was originally recorded on Brian Eno's Obscure label in 1975 and a substantially revised and extended version for Point Records in 1993. The version which is played by my ensemble was specially created in 1993 to coincided with this last recording.